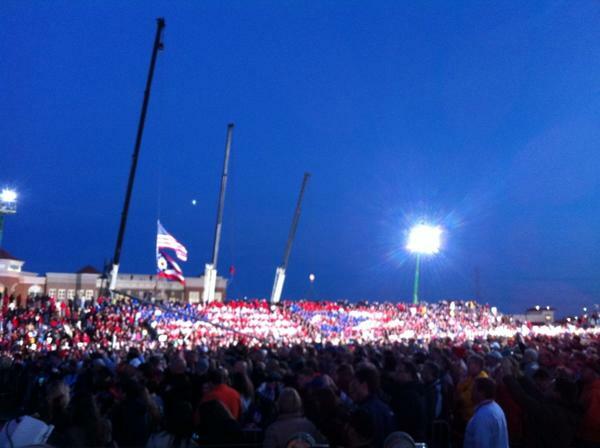 Posted at 7:43 pm on November 2, 2012 by Sarah D.
Wow incredible crowd in ohio for Romney!! 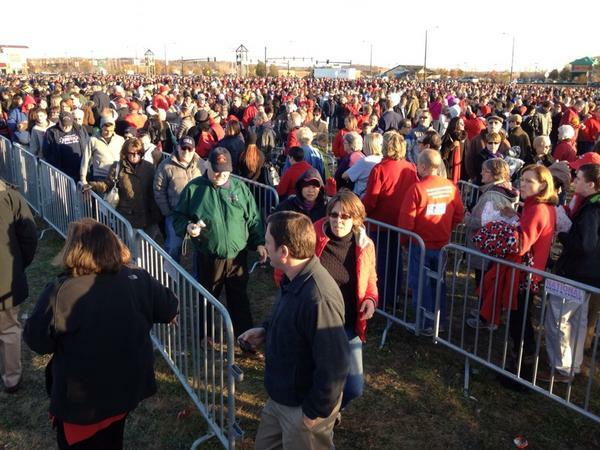 Don't tell me Ohio don't like Romney,this was overflow !! We’re still waiting on an official head count (estimates range from 20,000 to 35,000 or more), but we’re willing to bet that Sandra Fluke is green with envy. 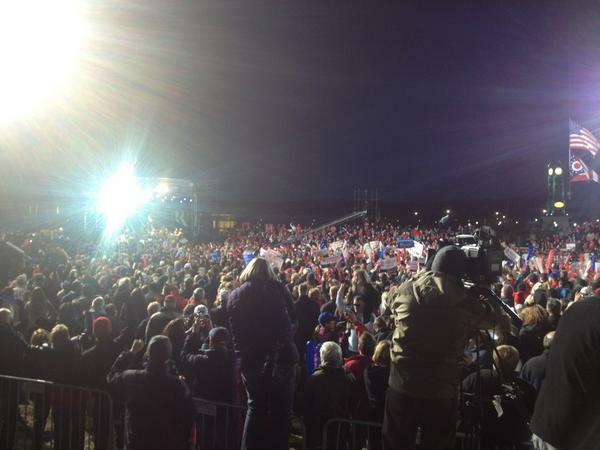 LOVE seeing the crowd in Ohio to see Romney/Ryan. Makes me feel like there is hope to win OHIO and the country!!! 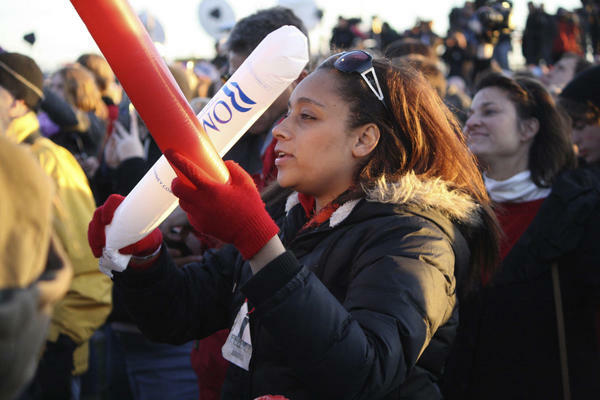 Update: The Dayton Daily News estimates the crowd at 25,000. The West Chester fire chief estimates 30,000 people attended the rally.